Sweet As! 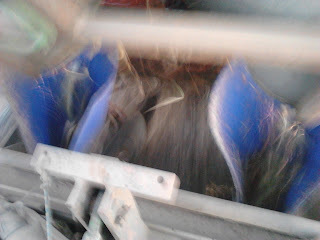 : Minimum Till Cane Planting. 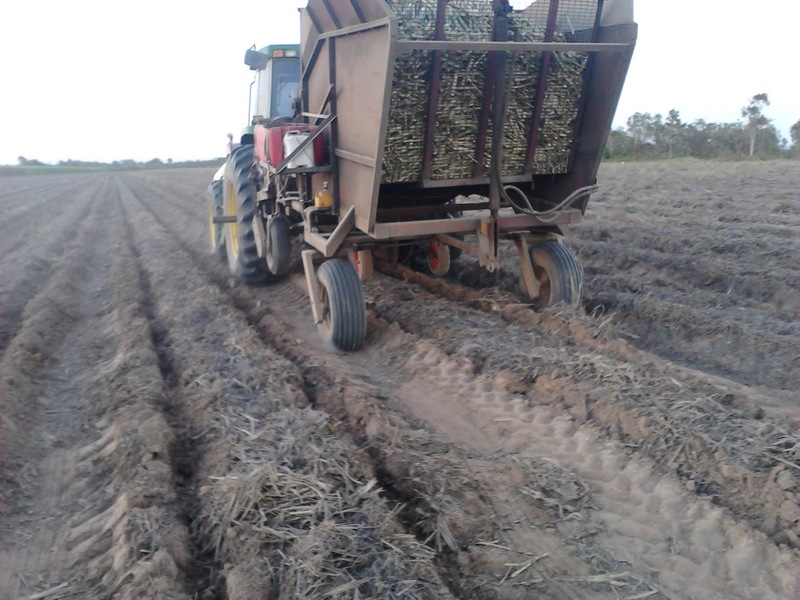 We have started to plant cane and after about 5 years of modification and planning we have finally come full circle with our farming system. 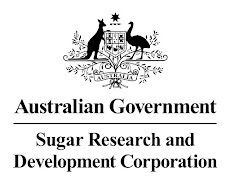 The four principals that were developed from industry Research and Development namely "Sugar Yield Decline Joint Venture" are. Controlled Traffic, Minimum Tillage, Trash Retention,and Legume fallow Break Crops.We have now had a full crop cycle plant and four ratoons from this paddock, we were not able to get legumes planted, but we have sprayed the crop out done one pass with a coulter ripper (zonal tillage) and have successfully planted cane back into the permanent bed. I will add photo's of the crop when it emerges, it is hard to show in photo's but the state of the soil compared to when we first started this system only 5 years ago is staggering, I did not think that we would see such an improvement in soil structure. 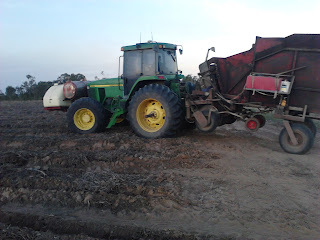 There is a clay strip that runs through the farm and in the past we could not get a fine enough tilth to get soil coverage when planting, now it is hard to find the clay at all. What is very gratifying is that we now have everything adapted to work with theses four principals, in my mind most of the hard work is done we now will be able to "fine tune"our management, and mother nature will do the rest.